AVANT-GARDES AND ÉMIGRÉS is a research initiative and prototype online environment at Yale University dedicated to the study of Russian and East European avant-gardists and émigrés in the twentieth century. Through this approach we intend to foreground the continuity of Russian Formalism, structuralism, and semiotics with theories of Digital Humanities entering critical discourse today. The initiative will explore the close relationship between avant-garde aesthetics and Formalist theory, and the dissemination and evolution of interpretive practices through emigration, including the formation of many departments of Slavic Languages and Literatures in the United States. How did avant-gardists and émigrés shape the reading practices, archival and library collections, and institutional formations of Slavic Studies as a field, and the intellectual landscape of American academia more broadly? How did the flow of persons, texts, and ideas from the Soviet Union influence the dynamics of American culture during the Cold War, through institutions, academic practices, theoretical approaches and methodologies, and cultural forums—ranging from the Slavic Review to the New Yorker? Can we imagine, build, and share digital tools to visualize a network of émigrés and centers of cultural capital in complex and ever-shifting configurations? How have these networks shaped our own education, training, tastes, and biases as scholars, as well as those of communities outside of academia? How do they shift over time? And how might all of the above be reimagined—indeed, how are they already being reshaped—in the digital age, given the technological, socio-economic, and political present? Marijeta Bozovic is Assistant Professor of Slavic Languages and Literatures at Yale University and a specialist in Russian and Balkan literature and culture of the twentieth and twenty-first centuries. Her research interests include poetry, avant-gardes, diasporas and transnational culture, translation and adaptation across media, and Danube studies. Her first book, Nabokov’s Canon: From Onegin to Ada (forthcoming with Northwestern University Press, 2016) examines canon formation, transnational literatures, and struggles with other media. Her second book project, Avant-Garde Post– : Radical Poetics after the Soviet Union turns to contemporary political engaged poetry in Moscow and St. Petersburg. Lisa Conathan is Head of Digital Services Unit at the Beinecke Rare Book and Manuscript Library, where she oversees the arrangement and description of manuscript collections documenting modern American and European history and literature. As an archivist (2007-2013) she processed several of Beinecke’s most prominent manuscript collections of Eastern European émigré literature, including the papers of Joseph Brodsky and Czeslaw Milosz. Active in Native American language documentation and revitalization, she served as Co-Director for the Breath of Life Archival Institute for Indigenous Languages from 2009 to 2013. Prior to joining Yale, she was a post-doctoral fellow at the Smithsonian Institution and the University of California, Berkeley. Trip Kirkpatrick is a senior instructional technologist in the Instructional Technology Group of the Yale Center for Teaching and Learning. He has co-coordinated the Digital Humanities Working Group of the Whitney Humanities Center, and was lead organizer of Yale’s first two internal unconferences on IT. He has also been seen leading a hands-on media lab for Yale’s node of the FemTechNet DOCC. His interests include plurilingualism and pluriculturalism in Digital Humanities, research into historical irreproducibilities such as unrecorded sound or other sensory phenomena, as well as issues in introducing Digital Humanities pedagogy in a highly traditional research institution. Peter Leonard is Librarian for Digital Humanities Research at Yale University Library, where he provides support for DH projects on campus. Peter received his B.A. in art history from the University of Chicago and his doctorate in literature from the University of Washington. 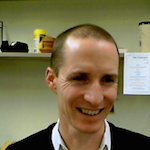 Prior to coming to Yale, Peter worked in humanities research computing at the University of Chicago and served as a postdoctoral researcher at the University of California on a Google Digital Humanities grant. Carlotta Chenoweth is a PhD candidate in Slavic Languages and Literatures at Yale University. Her research interests include Russian and Soviet literary culture, the role of the author and literary persona, the Russian avant-garde, Socialist Realism, contemporary Russian literature and poetry, and Soviet material culture. 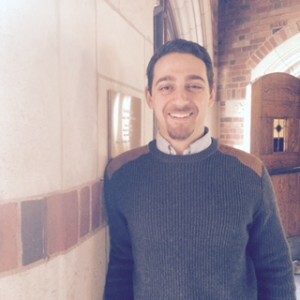 Jacob Lassin is a PhD candidate in Slavic Languages and Literatures at Yale University. His research interests include Soviet and post-Soviet media Studies (new media), historical memory and identity in Russian culture, Russian diaspora communities, television, film.